A beautiful example of a classic style wrought-iron driveway gate. The custom-designed gate and natural stone pillars compliments the home and surrounding landscape. 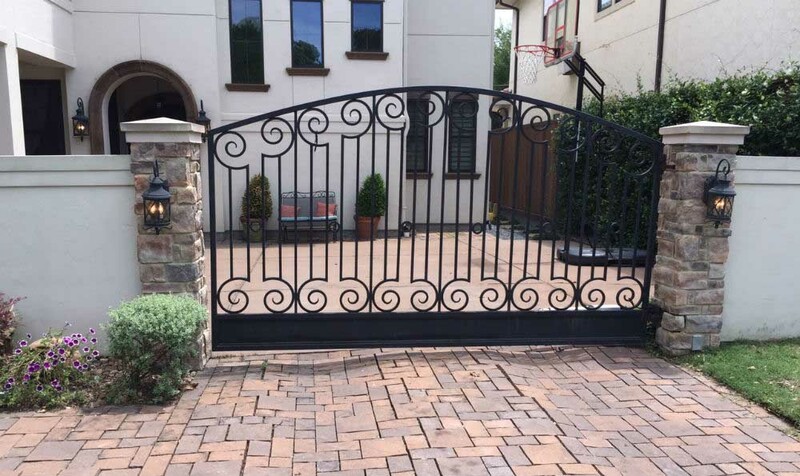 Because residences are unique, our in-house gate experts will design, configure, and install a driveway gate to meet the aesthetics of your property. The Sentry Houston Garage Door & Gate team have been serving Houston’s residential and commercial customers since 1999.